Is Your Body Prepared To Fight with Monsoon Diseases? 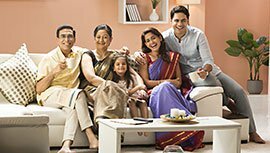 Every season brings different health challenges with it and our body has to be ready to face them, especially the extreme changes that come with monsoon immediately after the scorching summer. Monsoon brings many things with it like cool showers, greenery and not to forget the dreadful infections and diseases so rainy season precautions are necessary. It is essential to understand the fact that some of the monsoon diseases remain undiagnosed leading to complications. 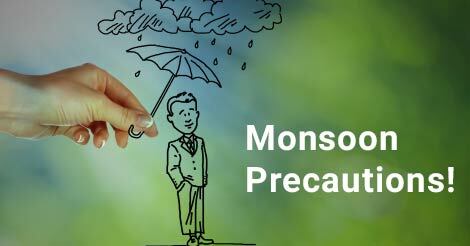 Why We Need Precautions In Monsoon? As we understand monsoon brings several diseases with it. Our body undergoes a sudden transition from scorching heat to humid and rainy environment. It is quite obvious that our body will take time to adapt to the new weather. In such a situation, the human body is vulnerable to monsoon diseases, which is why we need to be more alert in monsoon. Diseases like malaria, dengue and other water-borne infections are extremely severe and can become life threatening in some cases. We need to take preventive measures to keep these diseases and infections away. This can be done by the use of preventive measures such as mosquito nets, repellant creams, mosquito coils, monsoon health diet, etc. In monsoon, many diseases are waterborne hence doctors recommend drinking boiled water or purified water. It is also recommended to avoid eating outside food which may cause stomach infection, due to unhygienic methods of food handling and use of contaminated water. Why you need a health checkup in monsoon? You must be wondering, why need checkup in monsoon? The diseases like cholera, malaria, and dengue are dangerous and can be fatal. A preventive health checkup in monsoon is recommended because it gives you an insight into your overall health. Medical science has developed over the years, which helps to know about the possible health complications at an early stage. Diseases can be avoided with proper precautions and preventive measures. A full medical health checkup makes you aware of the changes happening in your body and thus gets you prepared to take necessary steps without wasting time. Don't forget to consult doctor and ask about the precautionary steps to be taken to avoid diseases. The rainy season even though is a time for fun and enjoyment; it is important to look after our health also. We should be prepared for the monsoon season so that we don't suffer later and enjoy the unending beauty that the season has to offer. The preventive health checkups have always been very effective. If you want to have a complete health checkup then get in touch with us by filling up the enquiry form. Our team will contact you very soon.